A Network Rail report on delays at London Bridge, released under a Freedom of Information request and discovered at the brilliant London Reconnections site, has revealed far greater rail growth over the past year than Network Rail were expecting. Investment in railways is split into five year Control Periods. Control Period 5 runs from 2014 to 2019, and Network Rail modelling assumed growth across London and the south east at 3% per year. It turns out that in the first 9 months of the control period growth was actually 8%. Growth of 3% seems a conservative level, particularly when in the previous Control Period 4, from 2009 to 2014, there was 6.2% annual growth, or 35% over the five years when compounded. This strong growth matches annual DLR growth of 8.5% over the past year, along with traffic congestion up 17% – now the worst of any European city. One part of the report focuses on the Greenwich line. Despite misnaming Abbey Wood as Abbey Hill at one point, it shows how delays due to rising passenger numbers have increased at Maze Hill, which is used to highlight the worsening problem. One major factor Network Rail attribute to this problem is only having one station entrance/exit, so passengers bunch in one area delaying boarding. So what are Network Rail, TfL and Crossrail proposing at Abbey Wood and Woolwich Crossrail stations? Only one entrance and exit. It’s true the trains will have more doors to aid boarding, and be at the end of the line (for now at least) but is this wise with population and housing growth in South East London and Kent in the coming decade? 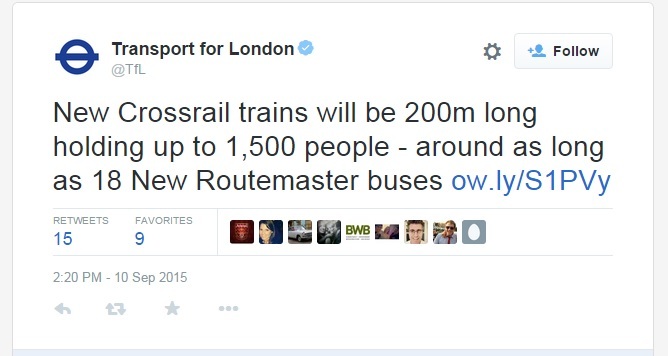 It’s important to bear in mind just how long Crossrail trains and stations will be. Crossrail actually heavily promote two entrance/exits at other stations and highlight how stations effectively serve two areas with entrances at both ends of stations. I recently wrote about how a second entrance appears feasible at Abbey Wood, and possibly Woolwich, and the large cuts in walking time it would give people in deprived areas, as well as aiding Plumstead which is sandwiched between stations with a lengthy walk to each station. There is council owned land at the western end of Abbey Wood Crossrail, where a footbridge is now being constructed. A part of the land previously was approved as housing but that has now likely lapsed. Any new scheme could have a bigger footprint and help fund an additional entrance. The recently announced 1900 homes to be built as part of Greenwich council’s Housing Zone would also bring in funding. I hope the footbridge now under construction includes provision for extending, in the manner of the current footbridge where it extends to the temporary ticket office. Land beside Abbey Wood’s western platform end. Bridge being built and excess land. Crossrail are against. It’s entirely understandable, as any changes in a sensitive project under construction can cause cost issues, as well as the potential for a media hounding and increased political pressure. Network Rail certainly don’t want more of that right now. A refusal to consider right now, let alone finance, is expected. So political pressure should be made on the assumption that funding would not come from Crossrail’s budget but from the numerous housing developments bringing in much income to Greenwich Council. It should also be stated that anything to delay opening would not be pursued and only provision be made, with schemes advancing after 2018 opening. 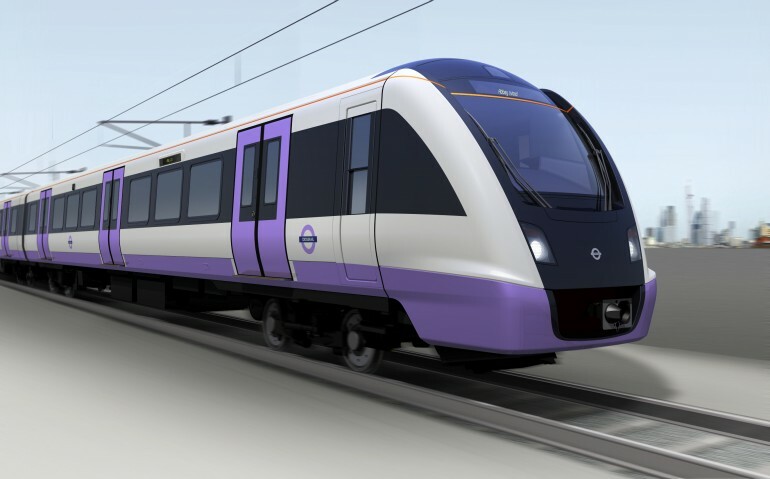 Crossrail also claim revenue loss as a worry. I certainly wouldn’t expect it to lack barriers, and if staffing costs are a worry it could be peak time only. But in all likelihood it will have sufficient staff. The station is already in the top 10% busiest Southeastern stations in London. Then you add in huge numbers interchanging from 2018, and at least 3500 homes being built nearby, and passenger numbers will rocket. And anyway, TfL now remotely monitor some barrier lines via CCTV so staff are not even needed at all times. This is seen on the London Overground routes since TfL took over. One last thing, one entrance and exit means increased numbers entering meeting increased numbers interchanging from Kent. It’s a recipe for congestion for both Crossrail and Southeastern. Another entrance would not only spread the load, but reduce long walking distances. Currently a resident in say, the Plumstead Gardens area going to Cannon Street, must walk an indirect route via Felixstowe Road or an off-putting route through the alley south of the station. But at least they are pretty much at platform level when they enter the station, though then have to walk all along the platform to the western end of the station to be at the exit arriving at Cannon Street. They’ve doubled back and added 20 minutes to their walk. From 2018, they not only have this long walk but at Abbey Wood station will have to walk up a pretty substantial flight of stairs, meet the many people getting off buses at Harrow Manorway, then descend another flight of stairs to reach the platform. With Network Rail themselves claiming single entrances as an increasing cause of congestion, and money and land seemingly available to help at Abbey Wood, and possibly Woolwich, this is an area Greenwich council should be looking closely into and not be batted away by Crossrail for understandable reasons. Instead, look at how those issues can be overcome. They seem relatively easy and cheap to do so and provide long term relief to congestion, plus providing regeneration potential to some of the most deprived area of the borough. What’s not to like?